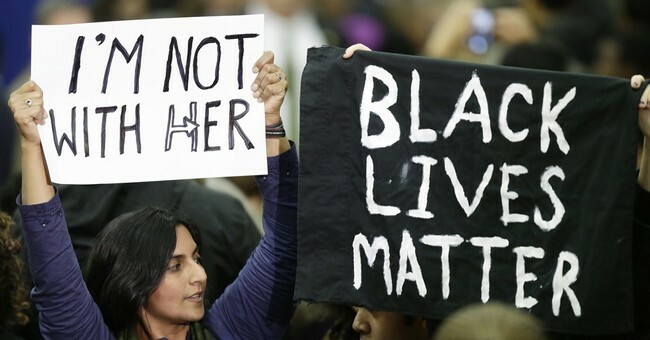 So, armed with the one-sided reporting, #BlackLivesMatter leaders (who have no use for the facts) declare there is an epidemic of cops killing innocent black people. There are 45,672,250 black Americans (including those who are biracial); I’m one of them. The 258 police-caused African-American deaths in 2015 amount to 0.000006% of the black population. It’s tragic but not an epidemic. But if you tweet it a million times and mainstream media reports on it daily, how can you blame people for thinking this is widespread? Worse, the death of someone’s loved one is exploited for a political agenda. Every agonizing death is one too many. Thursday night, I heard from those who’ve lost loved ones to senseless violence, which were mostly the result of black-on-black crime. Yes. Black homicide victims’ biggest threat is not those in blue, but those with black skin. Of the 3,021 blacks murdered (single victim/single offender), 90% of the murderers…were black. In a shocking episode of rhetoric-turned-reality, five cops were assassinated in Dallas because the “pigs in a blanket, fry ‘em like bacon” BLM crowd and liberal news media waged their war. Now, they must own the casualties. This isn’t the first time cops have been targeted and killed by BLM rhetoric and gun violence. We can mourn the loss of innocent lives—white, black and every hue in between. We can work to improve communities ravaged by daily violence with our prayers, our presence, and our partnerships. We must defy the destructive narrative spewed by a reckless and irresponsible media establishment that regurgitates an old black nationalist worldview in the guise of a new civil rights movement. Let’s move beyond a hashtag that has been used to bludgeon and instead use words that speak life and affirm our equal, and irreplaceable, worth as human beings who happen to be beautifully adorned with different pigmentation.